The Claridge – a Radisson Hotel offers the perfect event space rental for any occasion. Whether you need a modest event space for a group of attendees, or an event venue to accommodate an audience from around the world, make your event a success at The Claridge – a Radisson Hotel. Book The Claridge – a Radisson Hotel for your event venue. Our Atlantic City event space rental options include spacious event venues. Our event space can accommodate groups from 100 to 1,500. Whether a small gathering with a beautiful backdrop in our Art Gallery or Rooftop Bar, or a major international event in our 15,000 square feet conference center with additional breakout rooms and boardrooms, we offer an event venue that’s a perfect fit. See our event venues on this page below. If meeting space is more suitable for your needs, get a meeting room rental at The Claridge – a Radisson Hotel. Our meeting room rental options include on-site catering options. 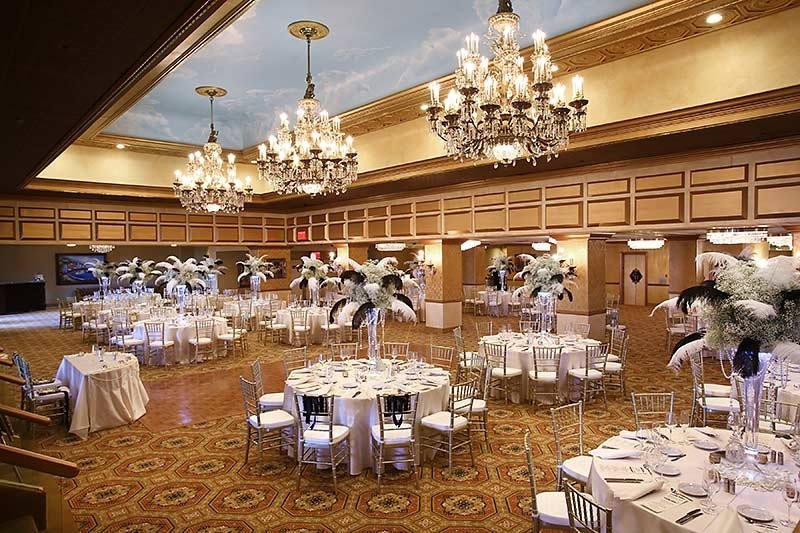 The Claridge -a Radisson Hotel offers multiple options for banquet halls near Atlantic City, NJ. With several banquet halls for rent, we’re sure to have the perfect space for your event. Our banquet halls can accommodate anywhere from 50 to 700 people. Whether a small event or a grand ceremony, The Claridge -a Radisson Hotel is the clear choice for banquet halls near Atlantic City, NJ. Whether you’re looking for banquet halls near Atlantic City, NJ for a black-tie event, an office party, reception, or any other type of get together, The Claridge – a Radisson Hotel can provide the accommodations you’re looking for. See our banquet halls for rent toward the bottom of this page. Beyond event space rental, The Claridge – a Radisson Hotel is the perfect choice for an Atlantic City wedding venue or wedding reception venue. The Claridge Hotel offers magnificent ballrooms to host any elegant event. The Grand Ballroom offers breathtaking views of the Atlantic Ocean and the famous Atlantic City Boardwalk. With over 12,500 square feet of event space, this stunning, architecturally designed ballroom is perfect to host your wedding or special event. Imagine the beautiful view of the Atlantic Ocean and Atlantic City Boardwalk as the backdrop for your event. 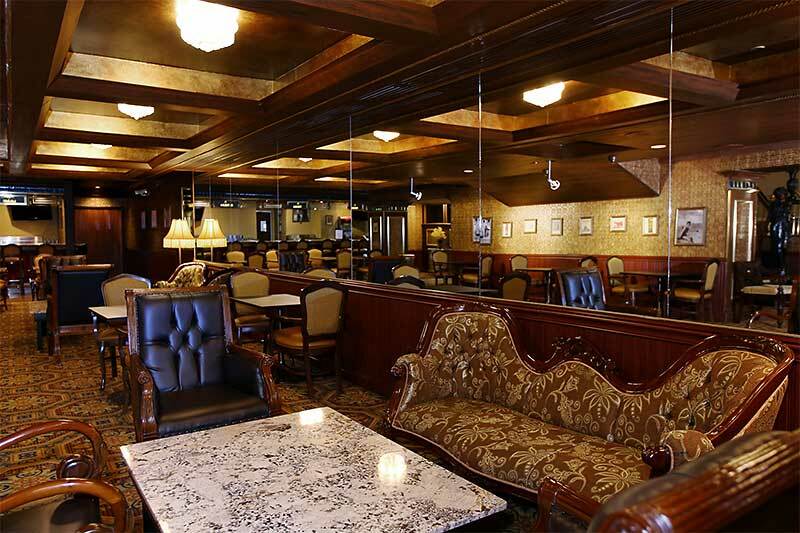 This 5,150 square foot event venue offers a charming and elegant atmosphere to accommodate any event. The perfect event venue to host your next meeting, reception or wedding. The Main Ballroom at the Claridge, featuring 2,200 square feet of pre-function space, offers a unique and versatile space to host a variety of events. This beautiful event space is multifunctional and a perfect location for corporate conferences and trainings, small conventions, receptions, hospitality suite or registration room. Conveniently located adjacent to the Main Ballroom and Pre-Function space. The Claridge Hotel also offers the historic landmark Brighton Park for outdoor-tented events. The great outdoors can be the exquisite locale for your celebration overlooking the world famous Atlantic City Boardwalk and Atlantic Ocean. The Claridge Hotel also offers beautiful beach weddings and family reunions. ne art gallery is the perfect backdrop for parties, weddings, business functions and more. This bi-level space, boasting the works of over 50 artists, features everything from fine art to sculptures, glass art and metal art. Malcolm’s lounge, conveniently located in the Claridge lobby, can be used for any number of purposes from a check-in or registration area to a small meal room to a place for your attendees to simply rest, unwind and take advantage of the complimentary WiFi. The Celebrity Theatre is versatile enough to host almost any event imaginable. Its cozy banquettes are the perfect perch from which to watch any sort of presentation or ceremony. With banquet seating bringing its capacity to 550, it’s perfect for your general session. From performing arts to boxing matches, the theatre lends itself to every need. At the end of the day, you and your guests can cozy up in a private room or hit the expansive dance floor in our Club 11 located on the third floor adjacent to the Celebrity Theatre. The décor and furnishings are old school sophisticated but the DJ, lights and sound keep everything up to date. Indulge in specialty signature cocktails and upscale light fare on the newest Rooftop Bar and Lounge. Offering breathtaking views of the Atlantic City Skyline, Beach and Boardwalk. An excellent location for happy hour, receptions, or private events. Featuring a 20 person private dining area.